Mauritius is aiming to attract 1.2 lakh Indian tourists in 2020, up from 88,000 people expected to visit the island nation this year, a senior official from that country said. At a recent four-city India roadshow organised by Mauritius Tourism Promotion Authority (MTPA), Arvind Bundhun, Director, MTPA, said that 80,000 tourists from India had visited his country last year. 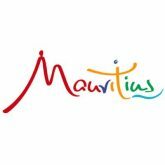 “In the last four years, Mauritius tourism has seen double digit growth, with Indian tourists contributing significantly to this. We are looking to attract 1.2 lakh Indian tourists to our country in 2020,” Bundhun said. He said that Mauritius has positioned itself as an affordable luxury destination which offers tourists different activities like golf, spa, sky diving, zip lining among others. “In order to create more visibility, we are inviting celebrities and top CEOs from India to Mauritius. Special packages are being offered to promote incentive trips,” Bundhun informed. He added that the wedding segment remains an attractive niche, with a lot of newly-wed Indians choosing Mauritius as a honeymoon destination. Bundhun said that Bollywood was also finding Mauritius attractive with its film promotion policy, adding that some Indian movies had been shot there recently. “Between October 17-19, the Mauritius Film Development Corporation is organising cinema week and a number of Bollywood stars have been invited there. The government has put in place special incentives to shoot movies in our country,” he said.